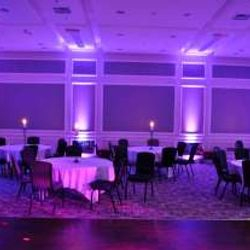 Here at Press Play DJ we offer 3 different wedding packages to suit the size, crowd and musical preferences of your very special night. 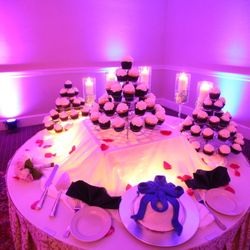 Listed below you will find each package and it's contents, please see which package best suits your wedding and contact us if you have any further questions. 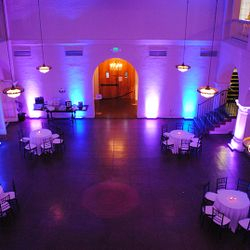 Is your wedding ceremony in a separate space from your reception? 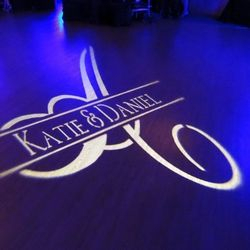 No worries, we’ve got you covered! 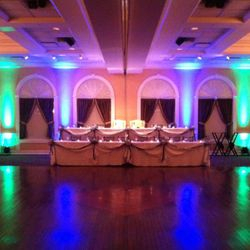 We can bring this additional sound system to play music for your ceremony and then seamlessly transition the music to your main space.  No moving equipment. 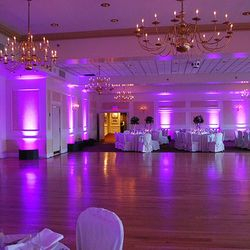 No awkward rooms with no sound. 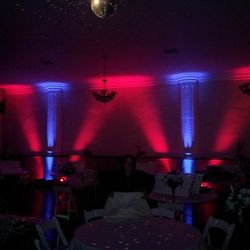 Just your music where and when you want it. 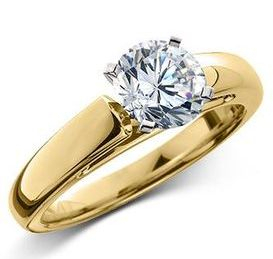 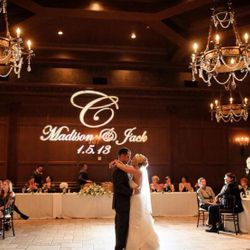 Concerned about your guests being able to hear your wedding ceremony? 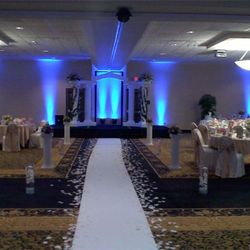 Our Ceremony System Setup includes use of our lapel mic system. 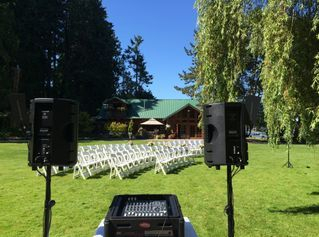 This system provides a lapel mic for your Officiant & an additional handheld wireless mic for anyone who may be walking up and giving a speech or a reading. 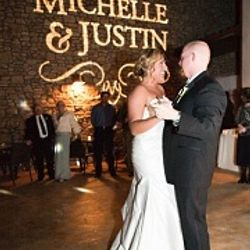 Use the lapel mic and everyone will be able to follow along & hear what the Officiant is saying without having to see any microphones or cables. 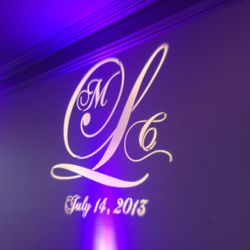 Bonus – lapel mics don’t show up in your pictures! 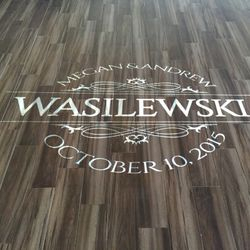 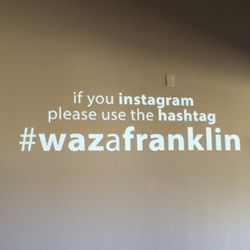 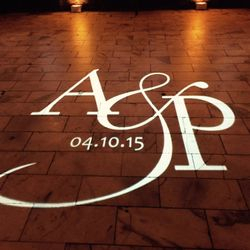 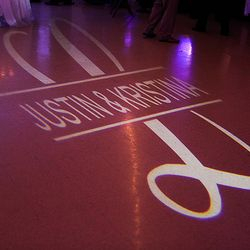 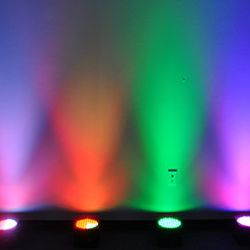 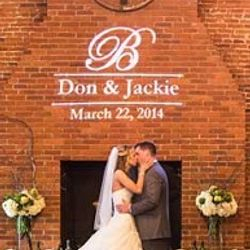 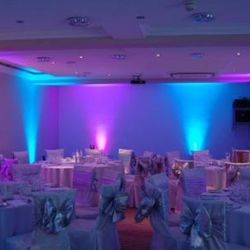 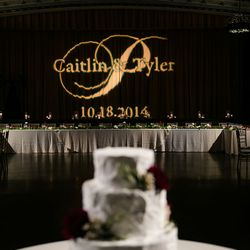 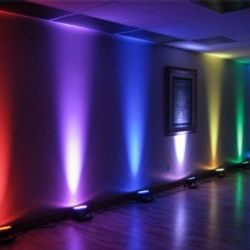 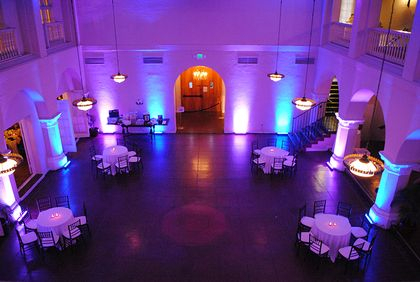 Imagine you and your fiance’s monogram, names, or initials on the wall or dance floor using lighting! 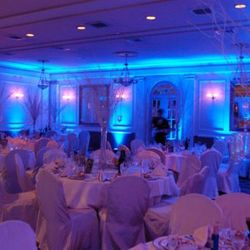 We can project it practically anywhere to add a personalized touch to your wedding reception using a special light fixture. 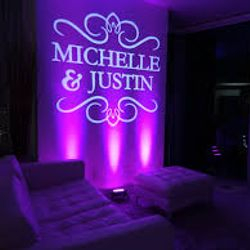 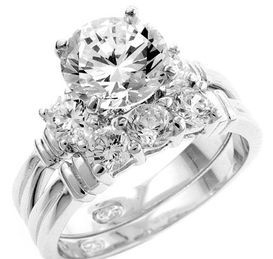 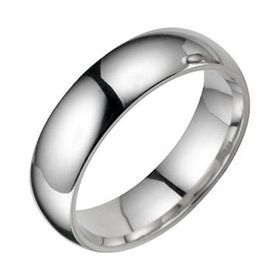 We have a catalog of designs for you to choose from or we will work with you to create a custom design just for your wedding. 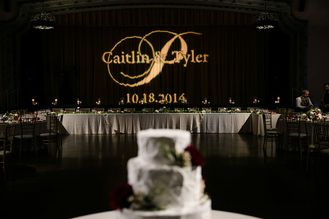 Check out the photos for some examples of the effect that GOBO Monogram Lighting can create!